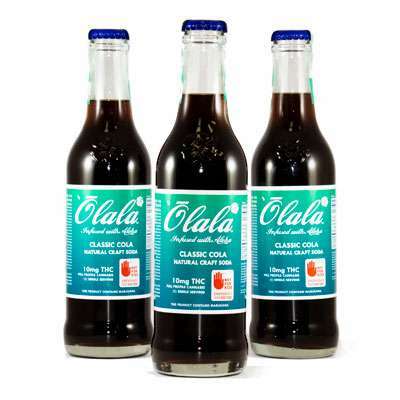 Olala is a Washington-based beverage company. Olala came to Nug Digital Marketing with a desire to increase brand awareness and product sales. The company needed an increase in their click-through rate and response rate on call-to-action advertisements. Olala also required a solution that made managing campaigns and tracking results both easy and intuitive. Nug introduced Olala to a the DigitalDirect strategy to be implemented over the agency’s network. This technology is capable of targeting key demographics based on location, age, and gender identity. The data provided reveals the number of people who saw an ad in the system, clicked on the ad, and visited the company after engaging with the advertisement. Nug applied this strategy and used DigitalDirect to geofence ten of the stores that sell Olala’s product, running ten targeted campaigns over the course of 60 days. The campaigns’ advertisements appeared on platforms such as entertainment apps, social media/networking apps, and lifestyle apps. Through Nug’s DigitalDirect strategy, Olala saw rapid and noticeable improvements. In the ten stores selling Olala product that were fenced, Olala saw an overall 20% increase in product sales! On the advertisements themselves, Olala received an above average click-through rate on nine of the ten preformed campaigns. While the average click-through rate of similar campaigns is .25%, Olala’s advertisements earned as much as .16% higher than average click-through-rate. The campaigns resulted in 254,343 impressions on 242,484 unique users with a total of 779 ad clicks, which greatly improved Olala’s sales. Due to the strong success of Olala’s DigitalDirect campaign, the company is continuing on with Nug’s services. The agency is fencing another ten stores that carry Olala’s brands and expect to see similarly positive gains for the company at the next time of reporting. We initially wrote and published this case study in August of 2018. We’re proud to report that since that time, Olala has seen a steady 20% increase in business month over month without working on any additional digital advertising! In December, their campaign had more than 200,000 impressions and nearly 1,000 clicks, resulting in a click-through rate of 1.37%! Our unique, hyper-local targeting strategy paired with constant monitoring and optimization of our client’s DigitalDirect campaign has yielded fantastic results – we couldn’t be happier! The Farm Bill Just Passed! Ready to get more customers? Reach out to discover how Nug Digital Marketing can help you to grow your online and walk in traffic. We would love to chat with you about other opportunities too! We are a full-service marketing firm that has been in business for over 17 years. In addition to digital advertising, we offer branding, websites, social media, and consulting. 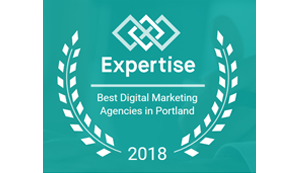 Spot Marketing, our parent company, is one of the Top 19 Digital Marketing Agencies in Portland for 2017 and 2018! ©All Rights Reserved 2019 Nug Digital Marketing.